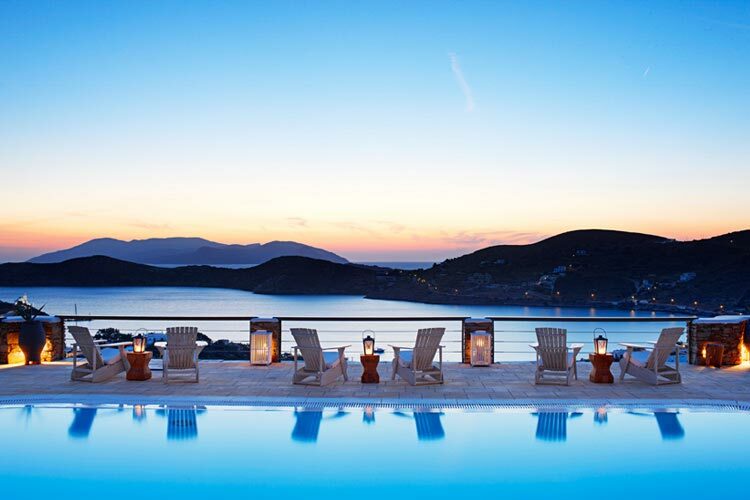 The Liostasi Ios Hotel & Spa brings discreet luxury and simple elegance to the beautiful island of Ios in the Aegean Sea, Greece. With its rugged hills, small coves, clear waters and pretty white-washed houses, Ios is the perfect place for a family holiday or romantic retreat. The Liostasi Ios Hotel & Spa is situated just a short walk from the principal village of Chora and overlooks a pretty bay with stunning sunset views. 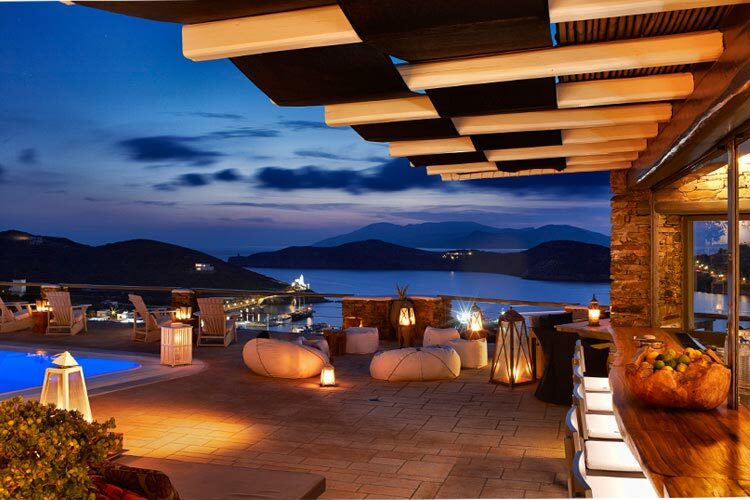 The Liostasi Ios Hotel & Spa has been built into the hillside using local stone and traditional Cycladic architecture. There is a wonderful pool area, where the bar and alfresco restaurant are also located, meaning guests benefit from stunning views whether swimming, relaxing, sipping refreshments or dining. For those seeking the ultimate relaxation experience, the Liostasi Ios Spa facilities and treatments provide that little extra assistance. The three suites and 24 rooms (single, double or triple) of the Liostasi Ios Hotel & Spa have all been carefully designed with unpretentious simplicity while ensuring maximum guest comfort. Most rooms come with terraces or balconies and offer wonderful sea views. 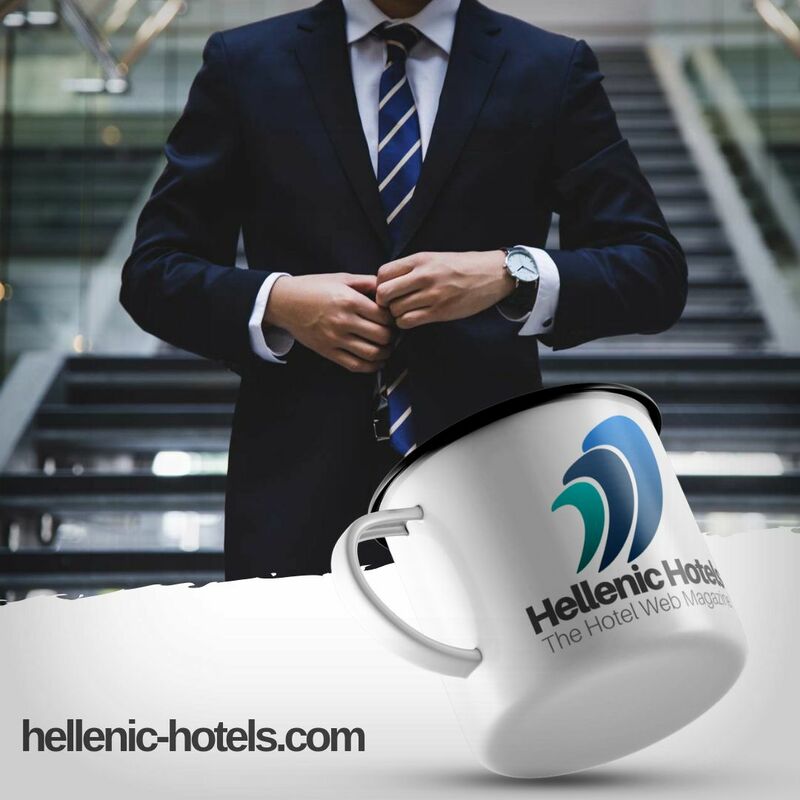 All rooms include: air-conditioning, satellite TV and music, direct dial phone, mini bar, safe deposit box, wifi, internet access, hairdryers and razor points. Dining: the Liostasi Ios Hotel Restaurant offers traditional Mediterranean cuisine with specially selected local and international wines. Fresh homemade breakfast buffet is from 8.30 to 11.00 am. At the Lounge Bar by the pool you may order refreshments, exotic cocktails and a variety of snacks all day long. Please make your dinner reservation in advance. Spa: the Liostasi Ios Hotel Spa specializes in deep cleansing and purifying facial treatments, anti-wrinkle and firming therapies, and anti-stress and toning massages. There is also a gym.